I have to admit, this pic was based entirely on ‘cool factor’ than anything else, but as visual creatures, it’s the first thing that arguably gets her attention when looking at any type of vehicle. Anglias were built by Ford UK, and to me in stock state, they look very quaint, but once hot rodded, these things turning to grades showstoppers. Any vehicle from this era, no matter which continent it was made on, seem to make incredible transformations like the example you see here. I bet in 1949 when they were popping out for a cup of tea, they would have never thought it would look like this in 2015. For cool factor alone, it’s worth keeping an eye on this one. Old will always be cool, its just how you present it. 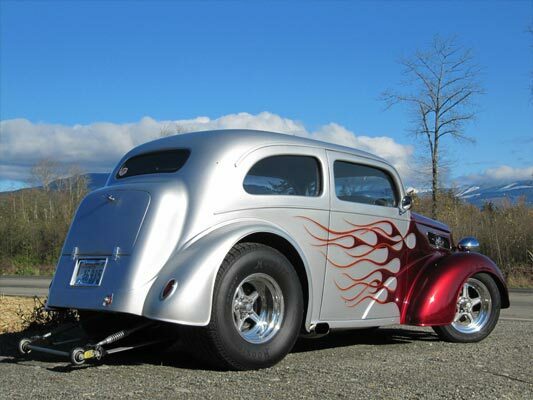 ‘100% all steel, perfectly straight 1949 Anglia which I built back in 2004 and have been “massaging” ever since. Absolutely no issues, the ONLY problem was an electric fuel pump “went south” about 6 years ago. A constant show winner and featured in Gasser Wars Magazine and on the cover. A QUALITY built car that has been used as a daily driver with never a disappointment. 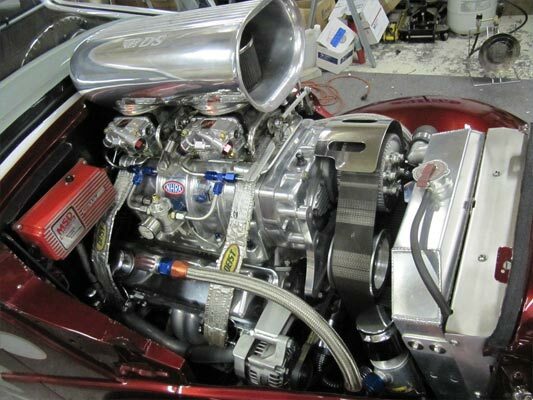 Has never been abused or down the 1/4 mile, but would certainly ‘hold it’s own’ running a BDS 6:71 blown 377ci sbc, very rare Trick Flow Twisted Wedge heads, 2 modified 750 Holley dbl. pumpers, full MSD crank trigger ignition, Comp cam & rollers and much more. The interior is very comfortable, again with all the best parts in place. Just for grins on the freeway’s, there’s electric dumps to keep you awake. 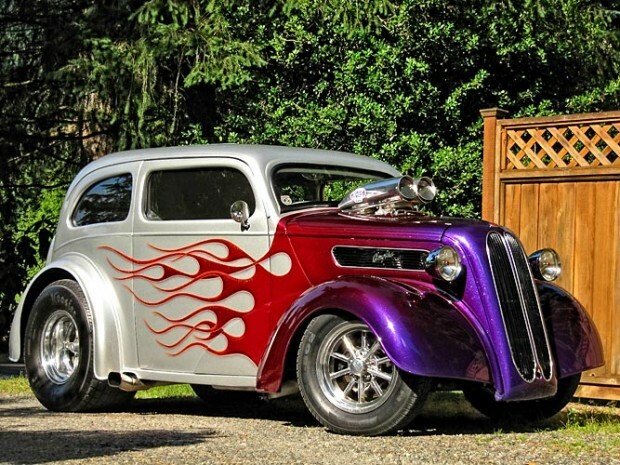 A full tube frame with Turbo 400, 9″ Ford posi, dragster torsion bar, wheelie bars, 4-link with dbl. adj coilovers, drum rears and disc front brakes. The body’s been chopped, channeled, fenders raised to maintain proportions, modified trunk, electric suicide doors and windows. Great pains and a lot of sketch work was involved with the design and final rendering of this car, with every modification analysed before any final work was done – for me, if the proportions are off, it fails. The chop was of the most concern, along with ride height. It needed to be right from all angles, and even at night. The finished work nailed my expectations, which involved many quality fabricators, paint & body workers, upholsterers and so on. If you;d like to have a breakdown on all the work and components used, just send an email through the “question” link. All the best parts have been used, just didn’t want to list everything in this ad, due to making it pages long, and if you know quality, you can see for yourself that it’s all here. ← Previous Story Pick OF The Day: 1970 Ford Mustang Boss 429, Grabber Green, 1 of 43. Just really a sweet ride.